Atlanta Metropolitan State College's Dual Enrollment Program (formerly Move on When Ready) is designed for high school students who are entering college while still completing high school coursework. Student must have one semester of high school credit to participate in the program. Please seek approval from your high school counselor before beginning the application process. It is important to note that the Dual Enrollment Program covers tuition, most fees, and books. Some fees, such as a science lab fee, are the responsibility of the student. Students taking the new SAT must present a minimum score of 24 on the Reading test and a minimum score of 25.5 on the Math test (470 on the new SAT Math section). In addition, students taking the new SAT must present scores that meet or exceed the equivalent of 970 (combined Critical Reading + Math) on the old SAT. This determination will be made by converting a student's new SAT Reading test score to the comparable old SAT Critical Reading section score and converting the new SAT Math test score (or equivalent new SAT Math section score) to the comparable old SAT Math section score. The sum of those two scores must meet or exceed the old SAT 970 minimum. Students may wish to use the College Board's New SAT to Old SAT Score Converter to determine if their new SAT scores meet or exceed the equivalent of the 970 minimum on the old SAT. Once the new SAT scores are converted to the comparable old SAT scores using the converter, students should add together the Critical Reading and Math section scores only (the Writing section score should not be included). A minimum cumulative high school grade point average (GPA) of 3.0 in academic subjects as calculated by the institution for admission purposes. Students must be on-track towards the completion of the USG Required High School Curriculum (RHSC). All students must satisfy the immunization requirements prior to the first day of classes. 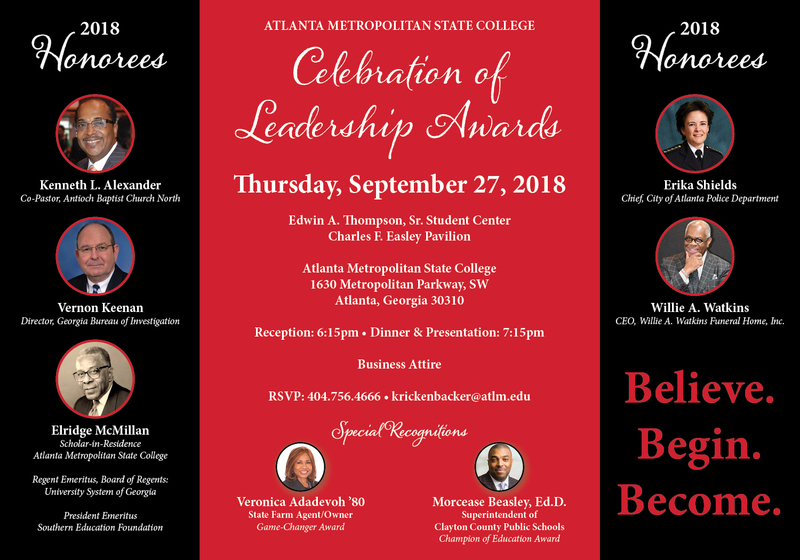 Atlanta Metropolitan State College is an Engineering Early College partner with Atlanta Public Schools. Click here to learn more about the Early College program. Applicants who attend a Home School or Non-Accredited High School â€“ Submit a comprehensive Home School Academic Portfolio of Work (guidelines for submission of an academic portfolio of work can be found on www.atlm.edu Please link home school portfolio link. Complete the Dual Enrollment Student Participation form. Submit the Dual Enrollment Funding Application through GAFutures.org. The Early College admissions gpa is 2.5. Monitor the Check Admissions Status site for updates to your application file. Contact the AMSC Dual Enrollment Program Coordinator, or an AMSC Admissions representative by email at studentoutreach@atlm.edu for assistance.